This Pentek 150367 PBH-420-1 1 in. 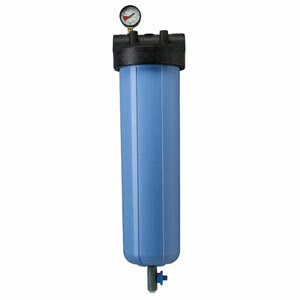 #20 bag vessel assembly is suitable for low flow rate residential, commercial, and industrial applications. The sump, cap, basket, vent plug, and drain plug are made of polypropylene for strength and resistance to chemicals and corrosion. 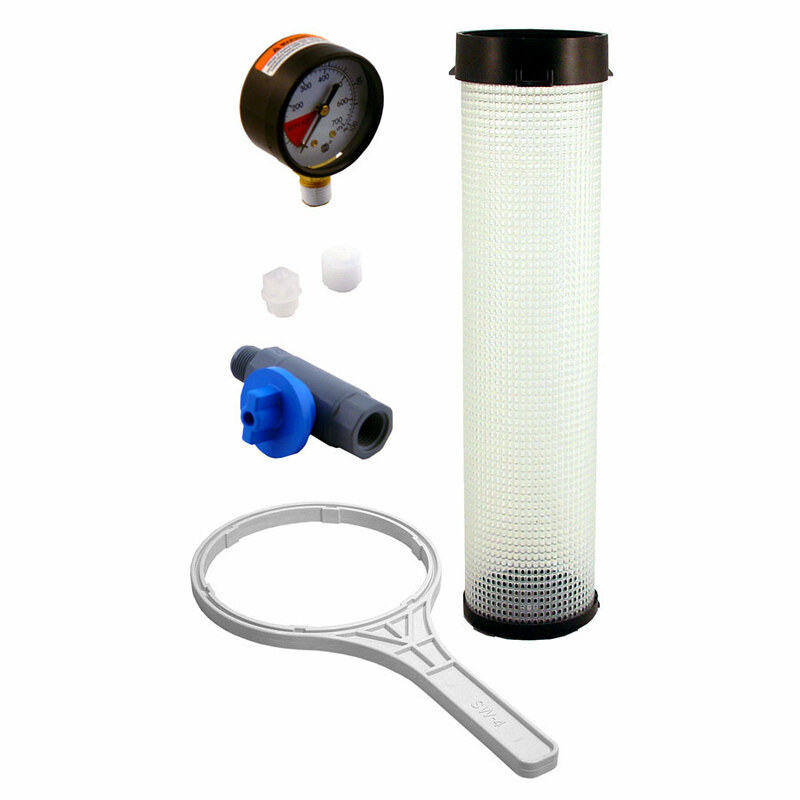 The cap has a single large Acme thread closure for quick opening and secure closure, 1 in. female National Pipe Thread Taper (NPT) threaded input and output connections, and a nitrile butadiene rubber (Buna-N) O-ring to ensure a watertight seal. The drain plug has a polyvinyl chloride (PVC) ball valve with Buna-N seals. This housing can be used with standard 4 in. x 18.5 in. filter bags (sold separately). 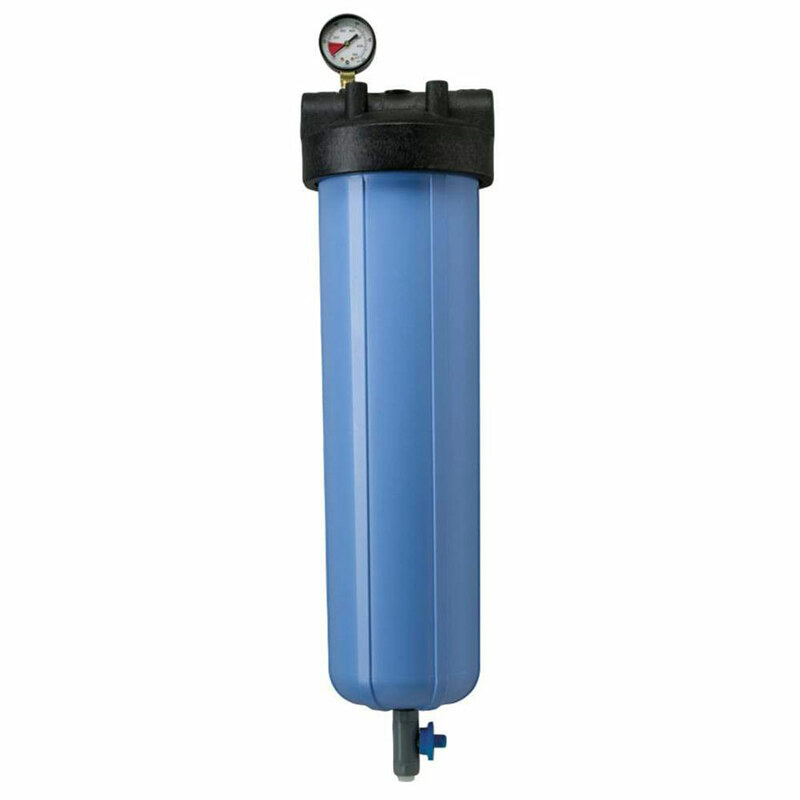 It has an initial pressure drop of 1 psi at a flow rate of 15 GPM, a maximum operating pressure of 90 psi, and a maximum operating temperature of 100°F (37.8°C). This bag vessel assembly is for use in various applications, including residential drinking water purification, food service, and industrial chemical filtration, among others.